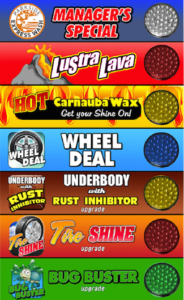 At Parkside Express Wash we offer various packages to provide a wash that is specific to what you desire. As always, once you finish and exit our tunnel, stop by the vacuum area and clean out the interior of your vehicle for FREE. We provide glass cleaner as well as fresh wash towel to assist you in your cleaning. We also have Gift Cards available for any birthdays or special occasions!! 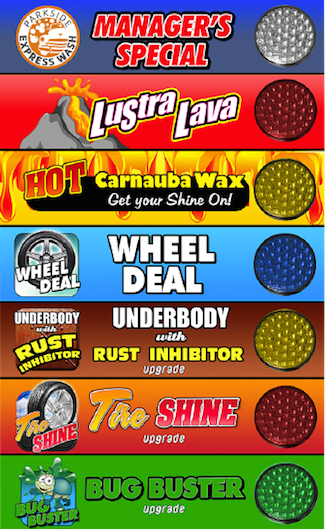 One of these wash packages WILL fit your needs! To all of our valued customers - as of today (April 4th) we are excited to to announce that Parkside Express Wash will be known as Zips's Car Wash! The aquistion of our wash by one of the largest and most respected names in car washing would not have been possible without the support of you, our incredible customer base - and an all-star team of Car Wash employees who have ran our wash over the past two years! Over the next few months you will notice minor changes and upgrades as our wash intergrates to the Zips family. You will continue to see the same smiling faces of our employees, receive the same great customer service, and get a great car wash in less than five minutes! What a beautiful day to bring in the Spring Season! Copyright © 2019 Parkside Express Wash. All Rights Reserved.